This Showerforce pump has been discontinued. 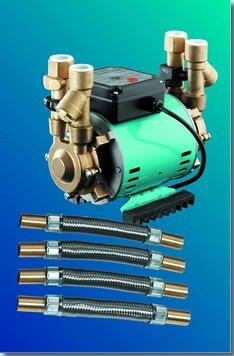 Please see the Turboboost 2 bar Twin Pump as a suggested alternative. PLEASE NOTE - There is no direct replacement for the SF 3 Bar pump, but this is a suggested alternative. The Showerforce 3 bar shower pump has been discontinued. There is unfortunately no direct replacement for this unit, however we recommend the Turbo Boost + 2.0 Bar Pump as a suggested 2 bar replacement.